Do you think is a good notebook for the price 223 pounds (€251)? Read this than decided. But if it was my option I would keep looking. Yes anyway the one's I'm referring is the model you linked but the seller changed some devices to make it more powerful.. I need it for school (office), some mini games like the sims 4, listening music, surfing on internet.. 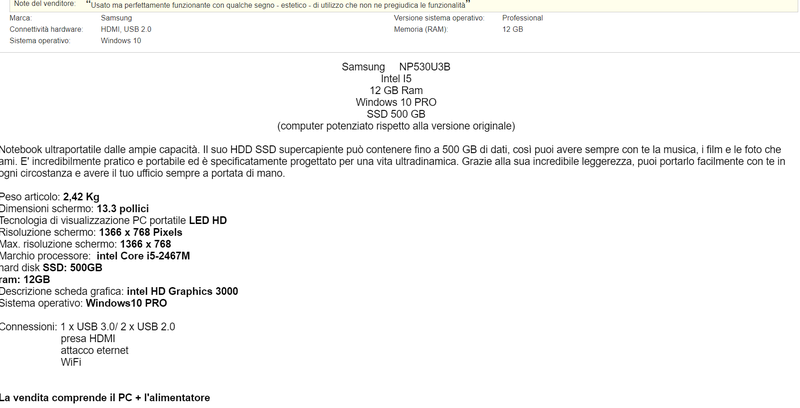 If EUR251 really buys you Windows PRO, 500GB SSD and 12GB RAM, I'd definitely will get it. For 2012 model, battery will be gone, so you might want to look for replacement one (since you'll be using it in school).